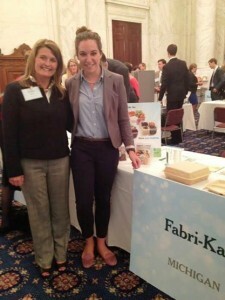 Skylar Young ’15 with Fabri-Kal Marketing Manager Emily Ewing in Washington, D.C. Experiential education helps students learn in a variety of situations on and off campus. Simply put, experiential education is learning by doing. It is hands-on and participatory. Experiential learning happens in lots of places and in a wide variety of situations. It happens in laboratories and neighborhoods, in office buildings and national forests, in the corporate arena and the public sector, in field research settings and inner cities, in other cultures and in our own backyard. The College’s Center for Career and Professional Development. Seventy-one percent of K students participate in career coaching, networking receptions, career workshops, internships, externships and career treks, among other programs. Study-abroad programs. Seventy percent of K students participate in a meaningful, immersive international and intercultural experience. Senior Individualized Projects. All K students complete a Senior Individualized Project, an in-depth research or creative work, in their senior year. Service-learning projects. About two-thirds of K students participate in community-based courses and student-led co-curricular programs. Experiential learning also occurs on athletics courts and fields, in campus student organizations and through campus employment. But experience only presents the promise of learning. Those who make the most of these kinds of experiences have thought their way through them. They determine their goals up front, reflect on their observations throughout their experience and analyze the outcomes. This is what the K-Plan is all about. Excellent academics are the foundation of a college experience. Experiential learning provides the opportunity to deepen and contextualize intellectual thought. Theory learned but not tested remains an abstract idea. Theory applied connects the abstract with reality and the future. 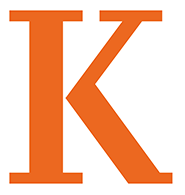 Learn more about Kalamazoo College and apply today.